Tomorrow is the last day of my Masters of Education program and what better way to celebrate is hosting a research poster symposium. For all those who can not make it or not from Toronto here is the link to our groups blog that has research summaries and our posters in PDF that you can download. Search by author at the top or scroll through each. We are updating this week to include all of us from the group. Well, 3 year journey is coming to an end of my masters program at OISE in Urban Education. The poster symposium is in a previous post but June 13th, 6 PM at OISE Library we will be showcasing our work. Attached is the PDF of the summary or you can read the text version below. Comments and Questions would be greatly appreciated! From teaching in many inner city schools in Toronto, I noticed that many boys are not continuing on past the mandatory grade 10 science course. This presents problems with the current model of teaching science, as we are not engaging an entire group through curriculum, lessons, strategies and content. Science education provides a key to a larger variety of jobs, higher wages, understanding medical diagnoses, and a greater knowledge about the world around them. Completing my masters at Ontario Institute for Studies in Education (OISE) at University of Toronto, my program took a critical stance on examining inner city issues in education. The Centre for Urban Schooling (CUS) at OISE, works with many organizations and school boards to challenge power relations based on class, race, gender, language, sexuality, religion, ethnicity and ability as they are manifested in all aspects of education, both formally and informally. Male students in urban schools needed a voice to show educators why they are stopping taking science. Interviews and assessment of achievement data were conducted at two inner schools with males who stopped taking science after grade 10. Trust was used as a descriptor of school itself and the staff within. Students referred to teachers and staff they could trust as limited in the school but being central for their learning. Those who coached or mentored the students in extracurricular activities and then taught the students often were met with less resistance and overall students achieved better grades in those classes. Those teachers they trusted, often worked hard to bring in extra curricular activities and got to know the students on a personal level. To empower these males by showing them their own potential and have them advocate in the proper avenues is important. Often the students felt they were not trusted to do labs or group activities. This resulted in quiet seat work consisting of copying notes, worksheets and filling in the blanks. Giving the student power and choice will lead to a greater effort and better results. Looking at the achievement of the students in this study, the average mark for grade 9 science in both schools was 65 % while the average mark for grade 10 was 55%. Students showed on average a 10% drop in their final science mark between grade 9 and grade 10. According to the Ontario Curriculum’s Science Achievement Chart, a mark between 50-59% means limited knowledge and effectiveness has been achieved in the science course. This is not preparing students to be scientifically literate. For the students in this study, this was their last science course and by sending them into further courses and career options with only “limited effectiveness” in terms of science knowledge and communication is not acceptable. Many of students interviewed spoke of the support they got outside of school. They talked about community organizations that helped them with schoolwork and other opportunities. The students from one of the schools spoke about Pathways to Education (pathwaystoeducation.com), a community based program to help low income youth graduate and break free from the cycle of poverty. 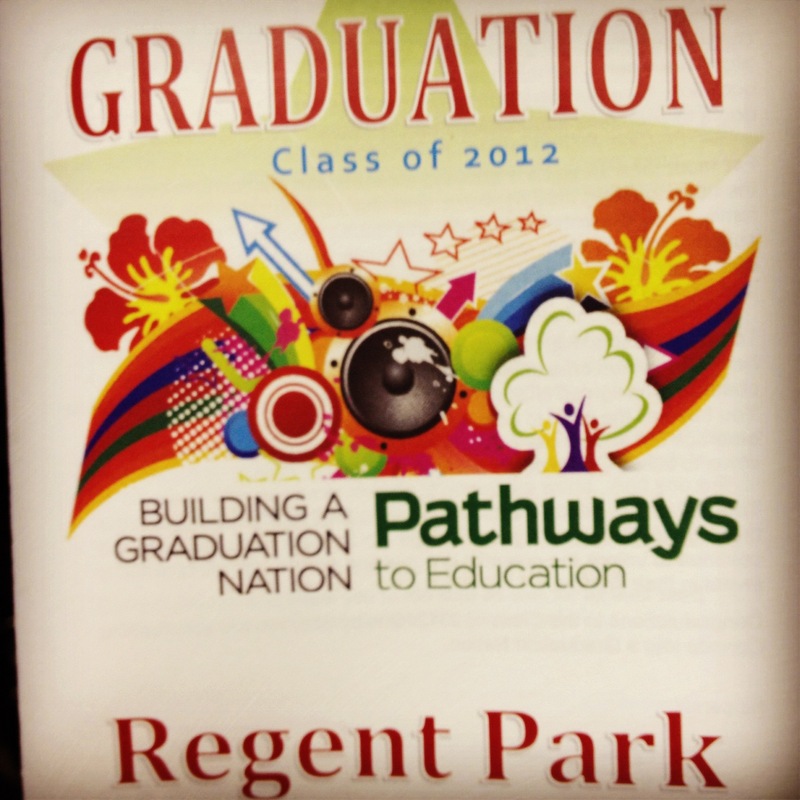 Five of the interviewed students, who live in Regent Park, said they take advantage of the programs offered by Pathways to Education. Community support programs, non-profits and libraries need to form a community hub alongside schools. Showing care for the students in a genuine manor also added to making a safe learning space where students felt comfortable enough to learn. An open communication between teacher and student is critical for learning. With the rich diversity of students within inner city schools, much of the students’ cultural capital is left at the door and the dominant cultural opinions and knowledge are learned. The important factors to them are having this caring and trusting adult that shows respect to the students and brings in exciting material. Interestingly enough, pay scale and ratings do not have an impact on those interviewed, on how well the students do or how much they learn nor do the credentials and years the teacher has been working. A subject that often emerges when talking about students being disengaged in science is that students may not see examples of their own people, race, culture or background infused within the science courses or within the media. Others are unaware or not wanting to know the science that surrounds their daily activities and occurrences. Many of these students lack the rich experiences of incorporating culture and race in science, so therefore are unable to see the benefits. Bringing in the culture of the students and allowing them to expand on their cultural capital as well as looking at achievements of non-western scientists as well, would allow for a richer learning experience. When asked what a scientist looks like, all but 2 students mentioned race as being white, while the majority of the students interviewed were students of colour. Many inner city students face barriers and obstacles even before they get to school. Waking up, finding a proper breakfast, transportation and taking care of family members are just some responsibilities many of these young males face even before arriving at school. Science classes are often linked to previous and future lessons, labs, topics and content. Students missing class can lead to an overwhelming feeling of not being able to catch up if they fall behind. Teachers, administrators and support staff need to work on catching these students up and keeping them attending. Dave supports his family by working part time, making his siblings lunches and making sure they get to school and often getting to class is an issue for him. How we can support inner city males? Lessons, curriculum, policy and pedagogy should always have students in mind first. The teacher has the power to advocate, empower and create a safe learning environment for all students. Urban science educators should first off, set up a comfortable learning environment for all students. This means acknowledging all students by recognizing differences and validating their lived experiences. Making the student become an active participant gives the student responsibility to the learning process and content. Creating a learning community where students can bring in their cultural capital puts the accountability on the learners as well. For science content, it is important to recognize their previous knowledge and allow students to expand upon that. Students have a mix of science backgrounds from culture, personal views and school science. From the time they have started walking and exploring the world around them, students have started building observations and theories about science. Worksheets, textbook work and cookie cutter labs are not engaging. Implementing inquiry based labs, group learning and incorporating technology works well to keep students engaged and have meaningful learning experiences. Having students work on community-based projects, for example greening a local area, studying pond water samples, viewing biodiversity in the community and then making a change is important. Global collaboration is possible and tested this semester in my own class through learning circles, wikis and video conferencing with a school in Kenya on environmental sustainability (globalteenager.org). Having scientists and researchers of all walks of life come into the class virtually to talk about new research was another great experience (vroc.ca). These may seem like great leaps and high expectations but many community groups are willing to partner to make this possible. From the students’ voices and lived experiences educators can make changes that increases engagement and production of successful urban male science students. All names are pseudonyms. all protocols for this study have been approved by OISE/UT and the school board.